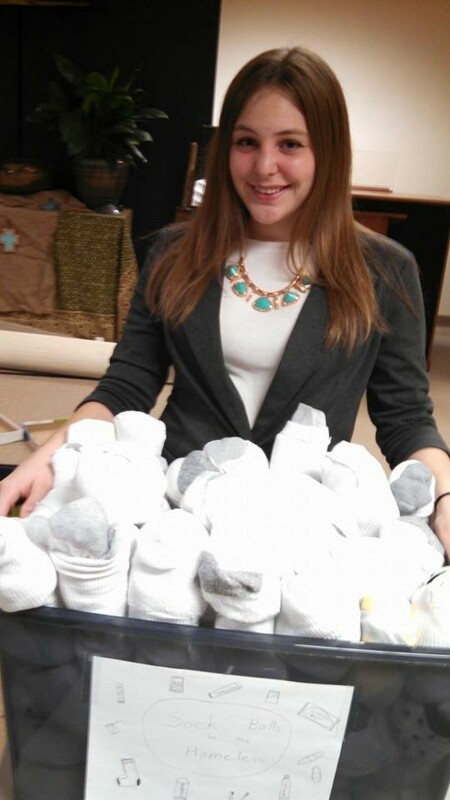 For this service project, we will collect clean socks along with small food (granola bars or small gift certificates) and hygiene items (lip balm, sample/hotel sizes of soap and shampoo). We put the food & hygiene items into a pair of socks, roll it into a ball, and give the “sock balls” to people at Circle to keep in their cars. When we see the homeless and/or panhandlers, we hand them the sock ball.